Biltmore Dermatology is a new practice that wanted to create a cutting edge website to attract new and potential patients before the doors ever opened to the practice. 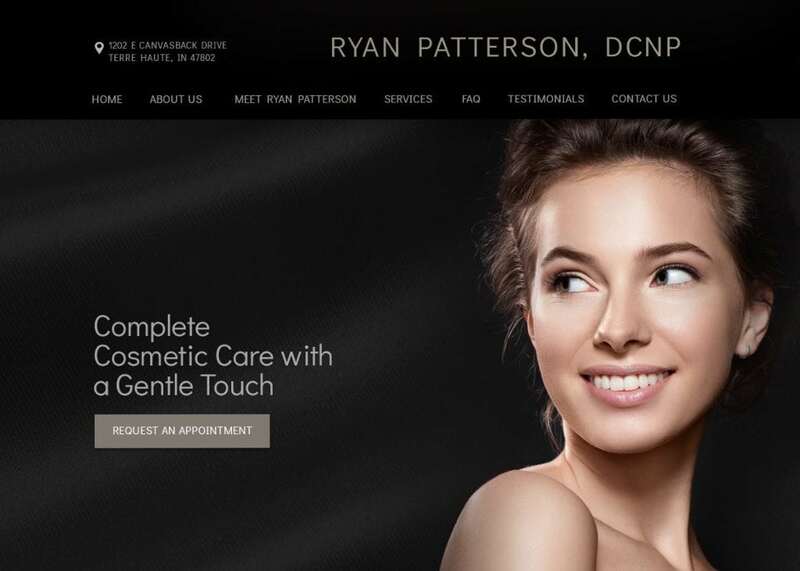 Ryan Patterson – founder of the practice – commissioned Optimized360 to create a unique and progressive-looking custom dermatology website that would look professional and also attract the interest of his targeted demographic. The home page features a header image and menu for easy navigation throughout the site. Below, a secondary image-based menu highlights dermatology services offered according to three different categories – cosmetic, medical, and surgical. Moving on, visitors are introduced to Ryan Patterson and then given the opportunity to read the reviews of existing patients as they scroll across the screen. Biltmore Dermatology has a dark and sleek website that uses various textures and shades of black and gray to create an eye-catching space. The idea was to have a website that appealed to the tastes of both men and women while also indicating respect for the patient’s discretion when seeking cosmetic treatments. This custom dermatology web design utilizes a full-screen width layout that leaves no room for margins or white space. Though overall traditional in its design, it stands out with modern features, such as scrolling pictures and reviews, as well as a three-dimensional effect in which parts of the background appear to stand still while text and images in the foreground move independently. As a new practice, Biltmore Dermatology wants the opportunity to attract new patients through a variety of options. For example, we placed a telehealth button at the top of the home page indicating that patients do not always necessarily have to visit the office in person to receive care. We also created a promotions tab where the practice can feature special offers available to new and existing patients. Visitors can request a consultation directly from the website or stay connected with the practice via links to social media accounts. This website says a lot about Biltmore Dermatology. It looks prestigious without being pretentious, and it looks cutting edge without being out of touch. Overall, we wanted visitors to trust that Ryan Patterson and his team could safely and reliably carry out all of the services they offer with respect for the patient’s needs and concerns.